A very familiar spring flower with a rosette of wrinkled, toothed leaves from which arises one or more flowering stems. The flowers, which are deep yellow with an orange base, are arranged in an umbel that often droops to one side. Flowering occurs throughout April and May. The seed develops in fruit hidden by the sepals and takes an unusually long time to ripen, not being shed until July. 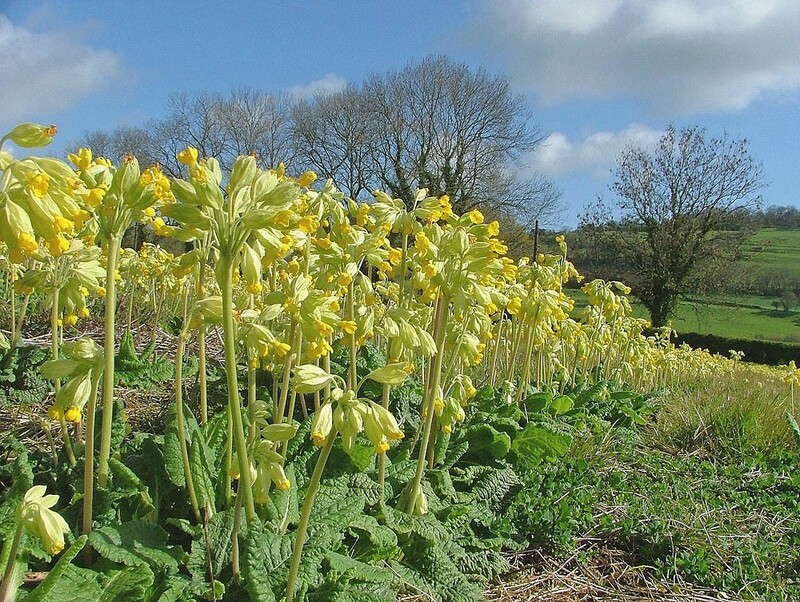 Cowslip can be confused with False oxlip and the much rarer Oxlip but their flowers are paler, larger and more spreading (see photos of Oxlip). 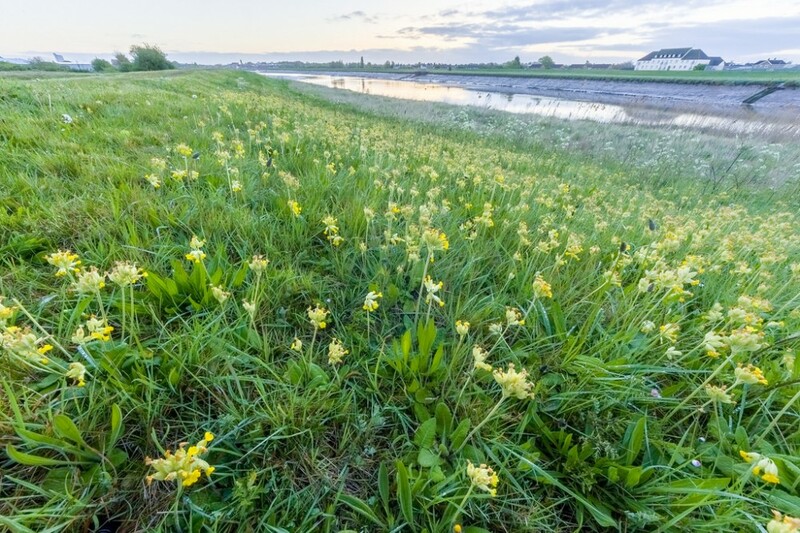 Characteristic of short species-rich grasslands, Cowslip occurs on a range of calcareous and occasionally dry, non-calcareous soils but thrives best in moist, free draining sites. The species is intolerant of waterlogged soils and is only rarely found in shaded habitat. 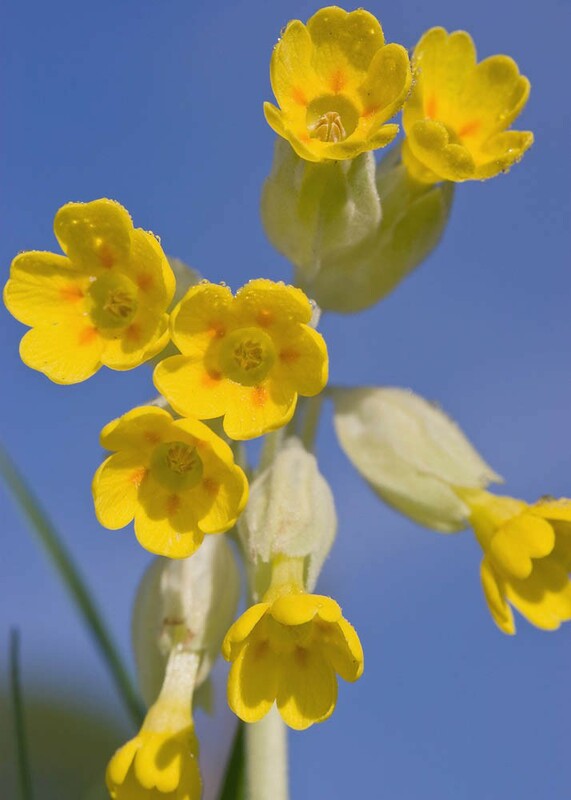 Cowslip produces reasonable quantities of seed and in disturbed areas it may establish itself to form extensive populations. Vegetative replication occurs infrequently by means of branching rhizomes. Although slow this may be the main means of regeneration in mature, stable communities. Cowslip is pollinated by long tongued bees, butterflies, moths and bee flies. 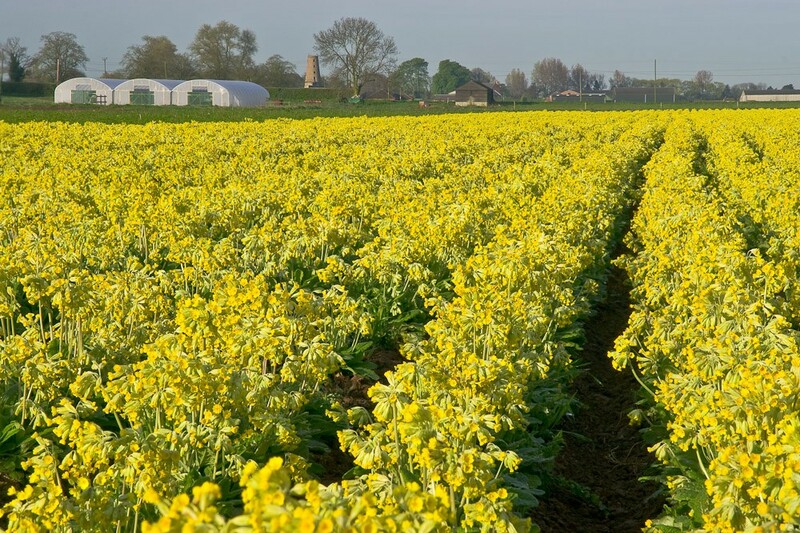 Cowslip seed needs a period of chilling to break dormancy - it therefore needs to be sown in late summer or autumn. 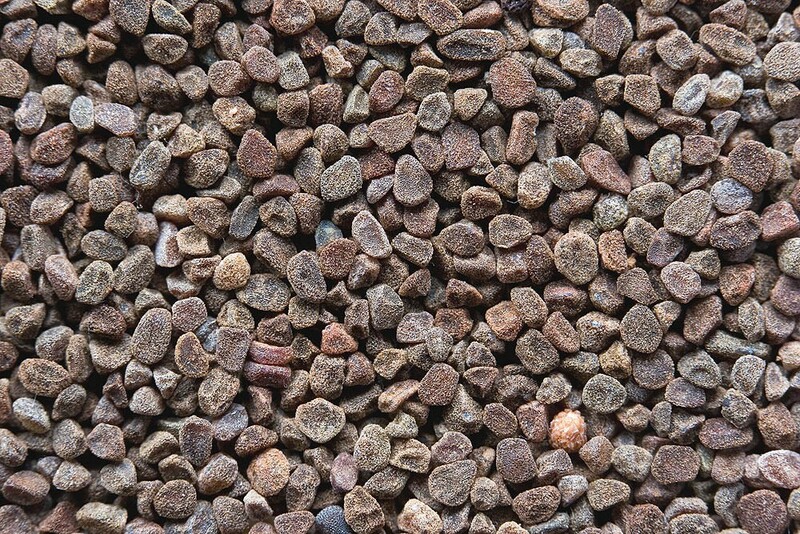 Germination will take place the following spring.